I don’t want to boast or anything, but I make a mean batch of chocolate chip cookies. Ever since I learned the secret of adding a box of instant vanilla pudding to the dough, my cookies have been nice and soft, even a day or two later, if any happen to make it that long. 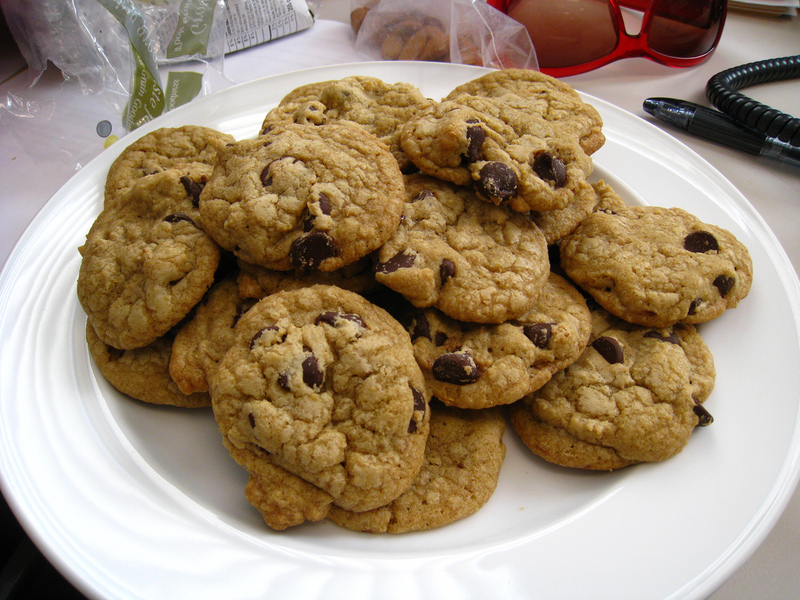 I don’t claim to be an amateur chef like my brother, who even has his own food blog (The Cordial Chef, in case you’re interested), but I make good food for my family, and especially those chocolate chip cookies. So a number of years ago when we had new neighbors move in across the street, I whipped up a batch of my cookies and took them over as a welcoming gift. The wife made a comment about how soft they were, and I proudly let her in on my little secret. Then her husband informed me that since his mother burned everything while he was growing up, he got used to burned cookies and actually preferred them. Oh. Um, thank you?